Turnkey Furnished 3 Bedroom 2 Bath Town home in the beautiful Lakewood National Golf Community! 36 holes of Championship Golf on Arnold Palmer Designed course. Golf Club is open and ready for you to book your tee time membership transfers for just $214! Resort Style amenities include Clubhouse with Restaurant and Bar, Fitness Center, Resort Style Pool with Outdoor Grille and Poolside Service, Full Service Spa, 8 Tennis Courts and more! 2nd Floor living offers peaceful views of the golf course, ponds and lush landscaping. Large Great Room, Formal Dining Area, Eat In Kitchen, Master Suite with access to lanai, his and her walk in closets and sinks in bath area, walk in shower and garden tub. King Size Bed in Master, Queen Bed in 2nd Bedroom Twin Beds in 3rd Bedroom. All bedrooms include walk in closets. Oversized 2 car garage with plenty of storage space. 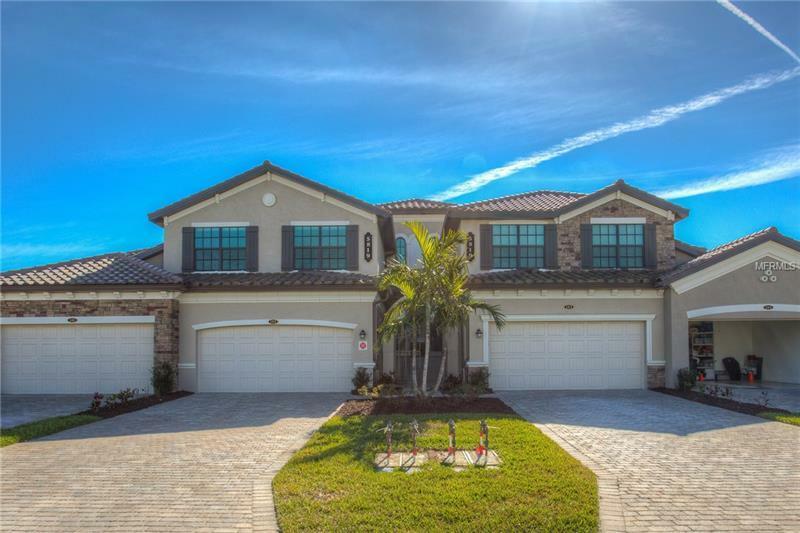 Desirable Lakewood Ranch School District. Easy access to I-75, local shopping and dining, University Parkway, Sarasota Airport and more. Sorry, no pets allowed. December thru April $5200, May thru November $3000.